As I was walking home from the cafe, thinking of the project I had been working on, my train of thoughts relating to lead generation and lead conversion online were suddenly interrupted by painted flowers on the path way. Unexpectedly they appeared and once they caught my attention, I wanted to know where they lead. Such a great example of a physical hyperlink offline. They spoke to me: “Click here”. “Step here”. “Come, you’re invited”. 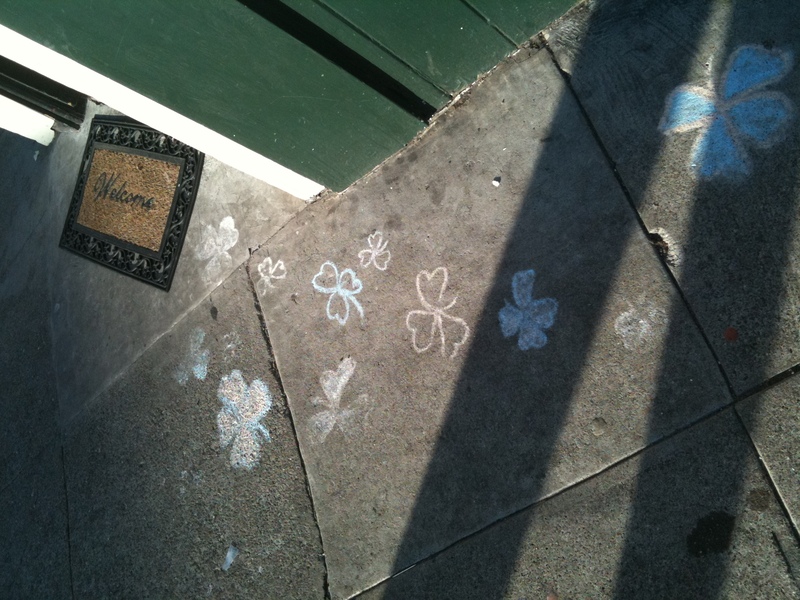 The flowers led to the entrance with the “Welcome” doormat of the Irish bakery down the block where I live(d). I am not too sure if the owner actually was aware of how brilliant it was. How would he know, unless people told him, or if he asked? That is the beauty of online hyperlinks and marketing: if you use a proper system you will be able to know exactly which link your customer clicked on before he or she entered your store, from where they came, what time, also in best case what nationality, age and gender, did you buy something, what did you buy and did you share it with or recommend it to others? That can give you knowledge to really drive your business. 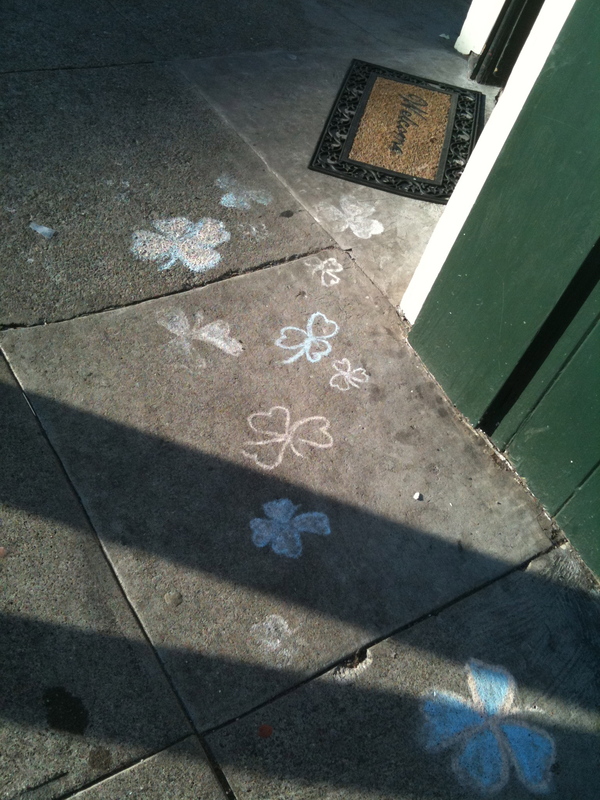 Those flowers on the sidewalk by the Irish bakery have made me walk in there more than once. And I’m sure I was not the only one. Last Thursday, I went there twice. And walked away empty handed both times. Two deliveries and sold out within the hour! The flowers were washed away – I guess Saint Patrick’s Day was the contributing factor that day… and I am sure: had the flowers not been there, many clients had not noticed the place to the same extent. It is like hitching your wagon to a star.